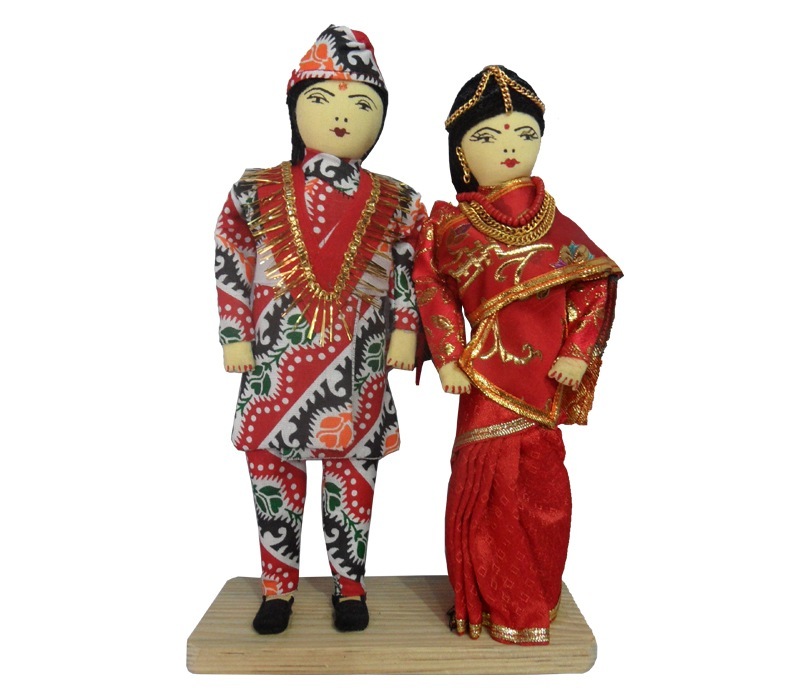 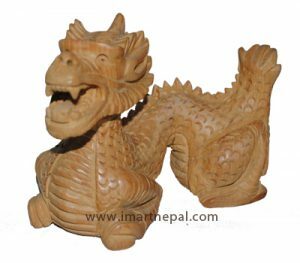 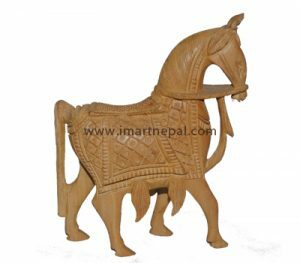 These dolls are made of wood and cotton and are dressed in wedding attire traditionally worn by Nepalis on the day of their marriage. 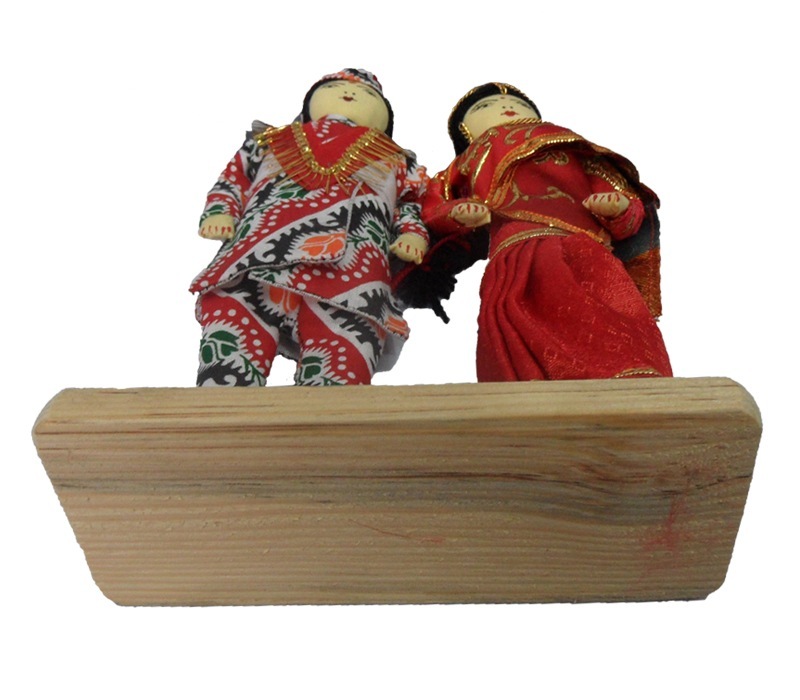 The dolls are 9 inches tall and 6 inches wide, weighing just 300 grams. 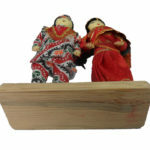 The female doll has a red dress trimmed with gold, as well as golden accessories such as a necklace and a hair piece. 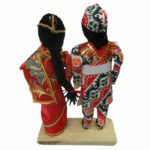 The male doll is wearing a daura suruwal, which is Nepal’s national costume. 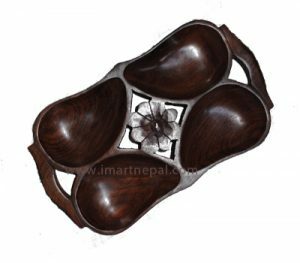 It consists of a long upper garment, the daura, that almost reaches the knees and trousers called suruwal. 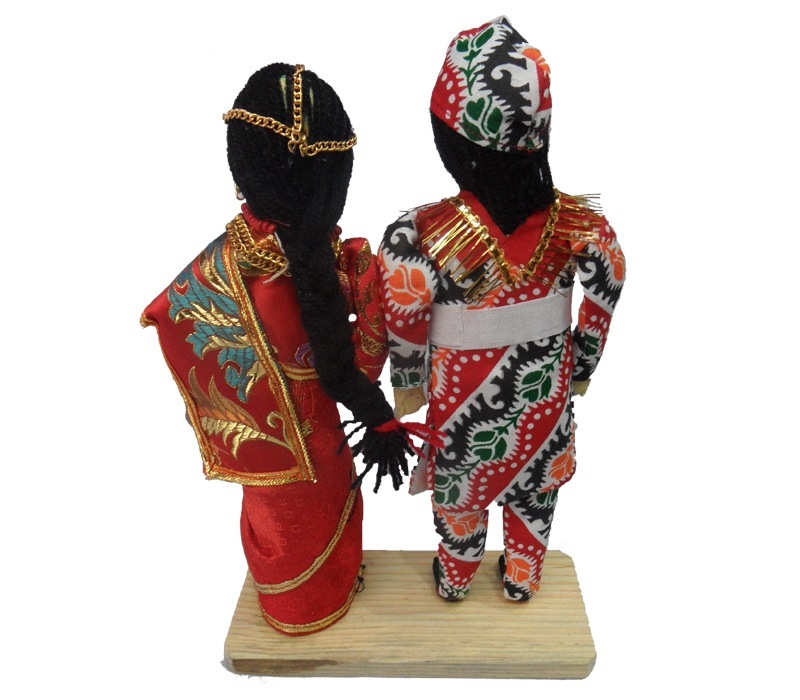 The male doll also has a garland and a cap.